But the show must go on, as they say! 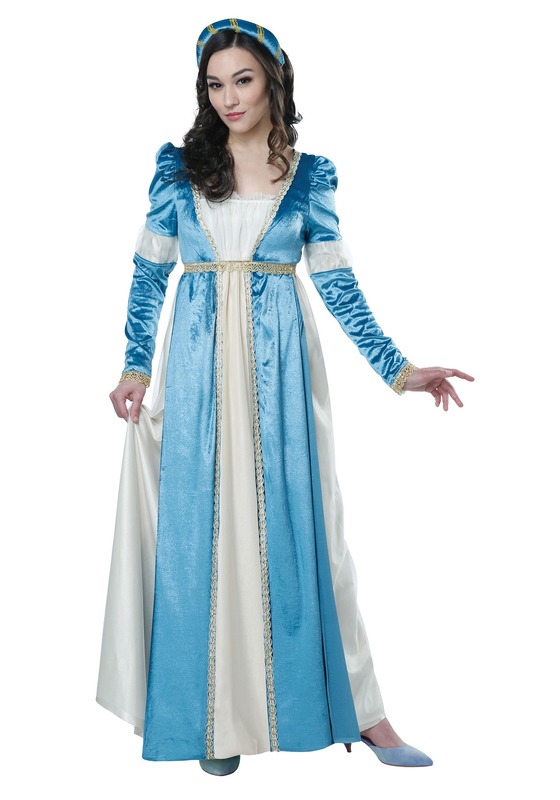 This Women's Juliet Costume is worthy of your big debut and will lend an air of authenticity to your first starring role. The blue hue looks lovely under the lights, and you'll be able to feel confident as you take the stage, knowing you are Juliet from head to toe! This gown is the height of Elizabethan haute couture! It perfectly features the style of the period, with an empire-waist, slightly puffed sleeves, and floor-length design. Beautiful sky-blue fabric shines over an ivory base, and tasteful trim offers a delicate detail that even the furthest audience member will be able to sense. A matching circlet tops your locks and perfects your look as you practice your death scene or memorize blocking. You're draped for high drama the moment you step into this costume! Just to be sure, you may want to pick up our coordinated Romeo costume for an on-point, on-stage look for your leading man. Either way, we think you look stunning in this period-perfect gown, and we can't wait to see you on opening night. Break a leg!